To record a new project, first go to "Projects - Projects" and then click on "New project". You can the define the project status as "Pending", "Active" or "Archived". 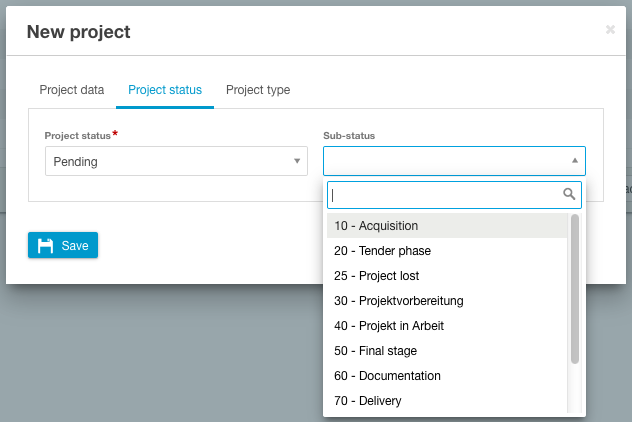 You also have the option of setting a sub-status or the project phase. You can define the sub-status at your discretion. 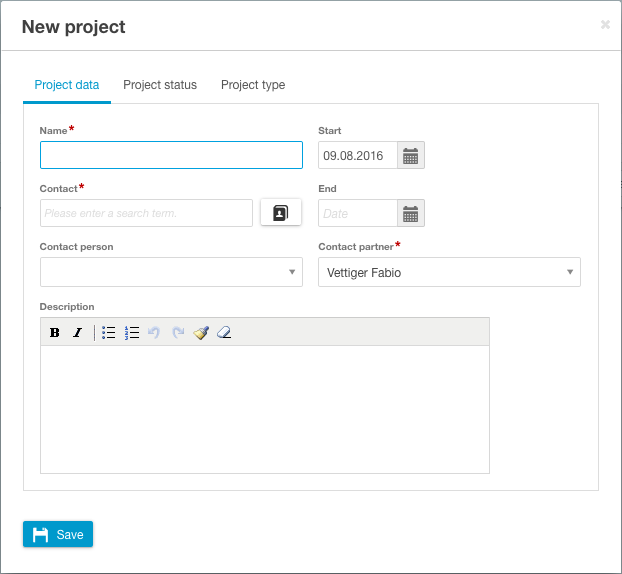 Finally you can specify whether the project is a client project or an internal project. This is another way of differentiating your projects according to category. You have now finished setting up the project. Clicking on "Save" takes you to the project dashboard. We will explore the other functions in the next article "Functions of project management".